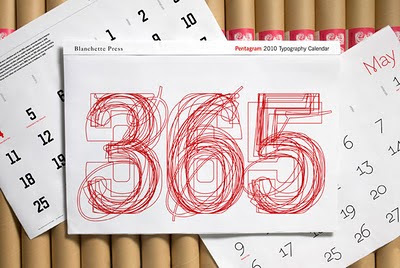 For all you practical typography lovers out there, you should check out the super-sweet calendars from the designers at Pentagram. Each year they come out with a calendar that displays 12 different fonts, each month with a little history lesson about how that font came to be. They are clean and classy (no pictures, all typefaces). I still want one for this year even though it's February!